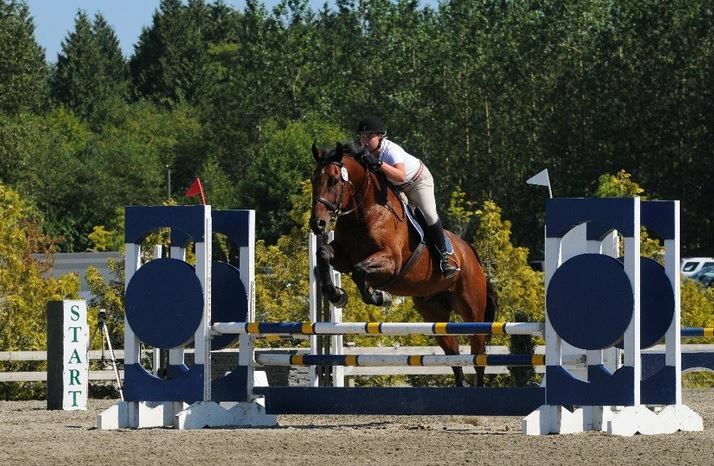 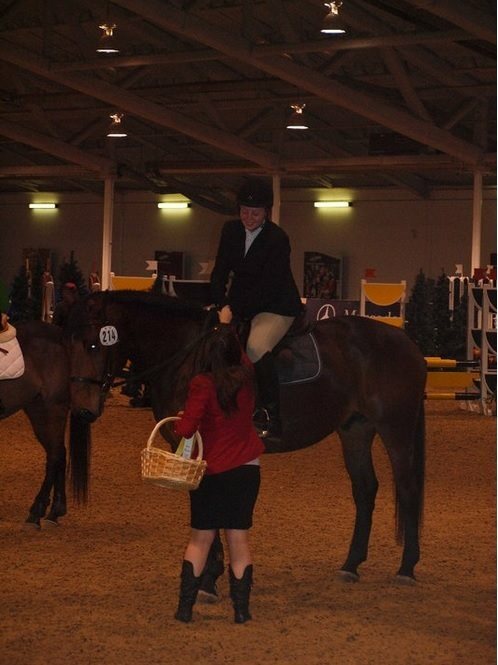 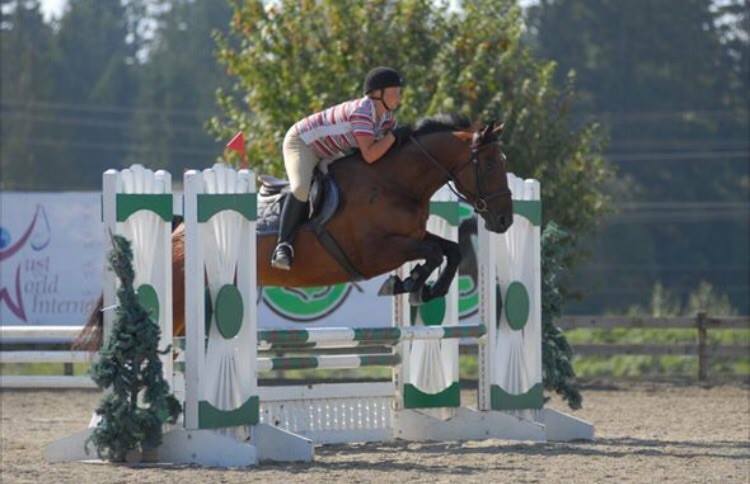 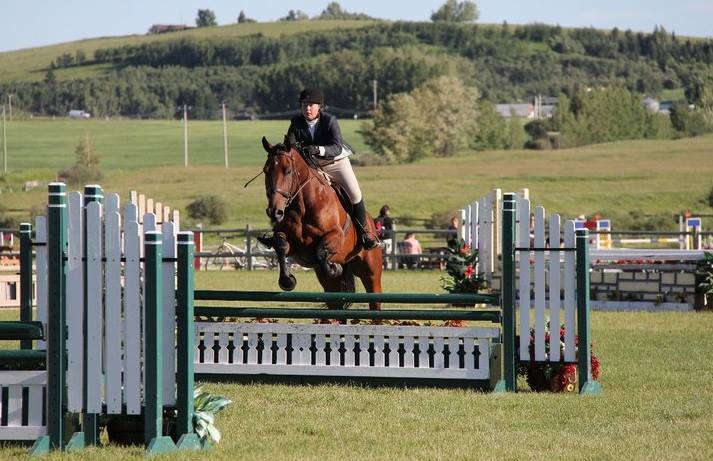 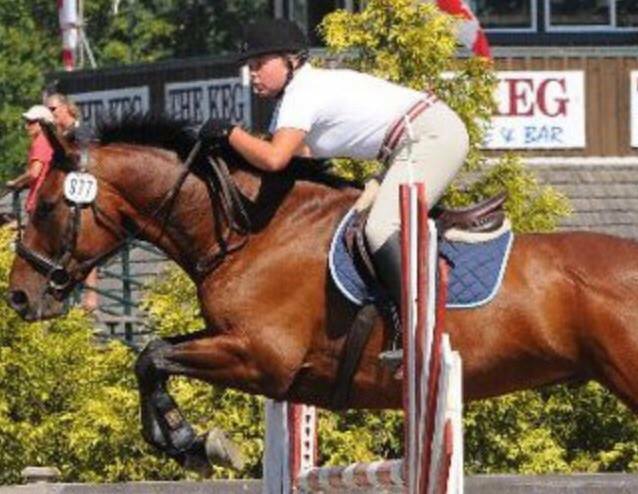 Whisper has taken his past two riders from the starter jumper division up to the .90m jumpers and has also done the Child/Adult hunters and had sucess in the Jr/Amateur hunter derbies as well. 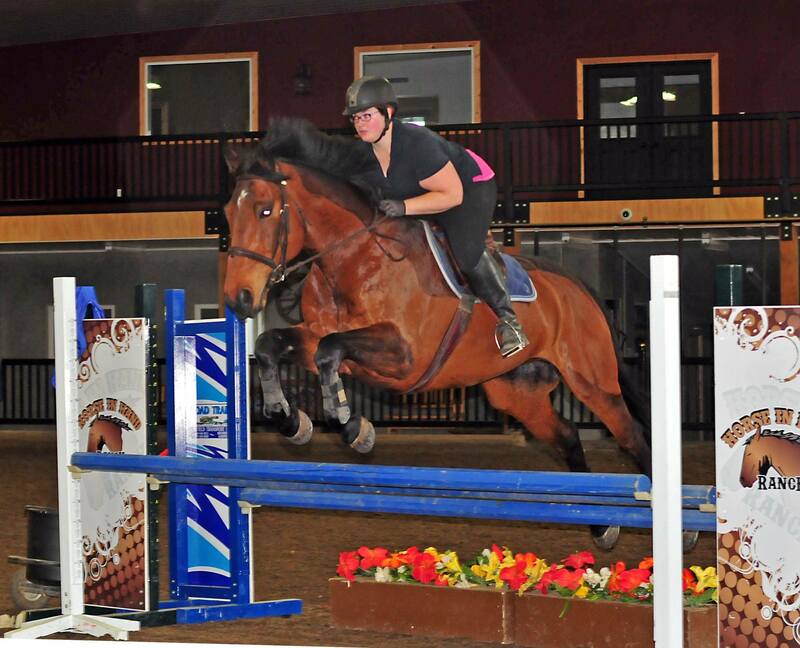 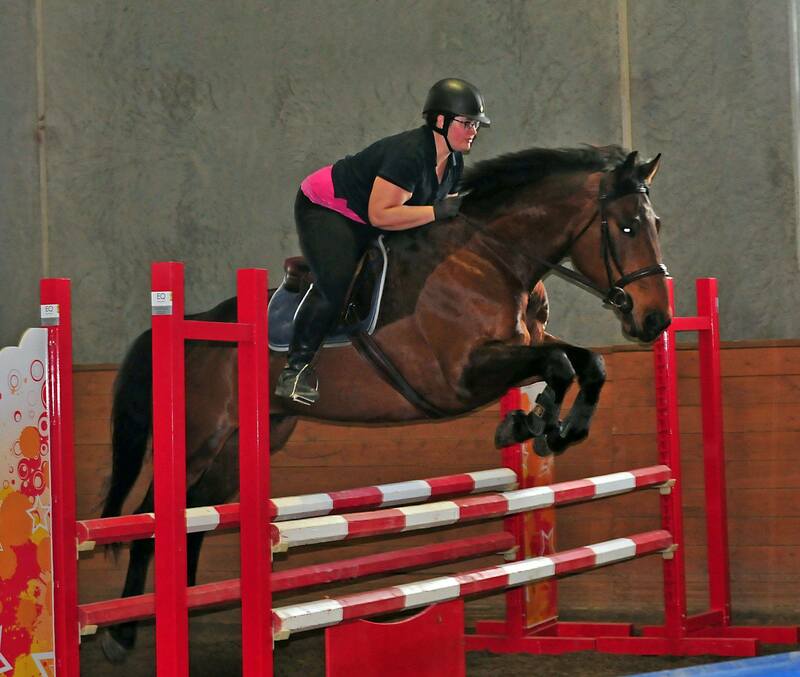 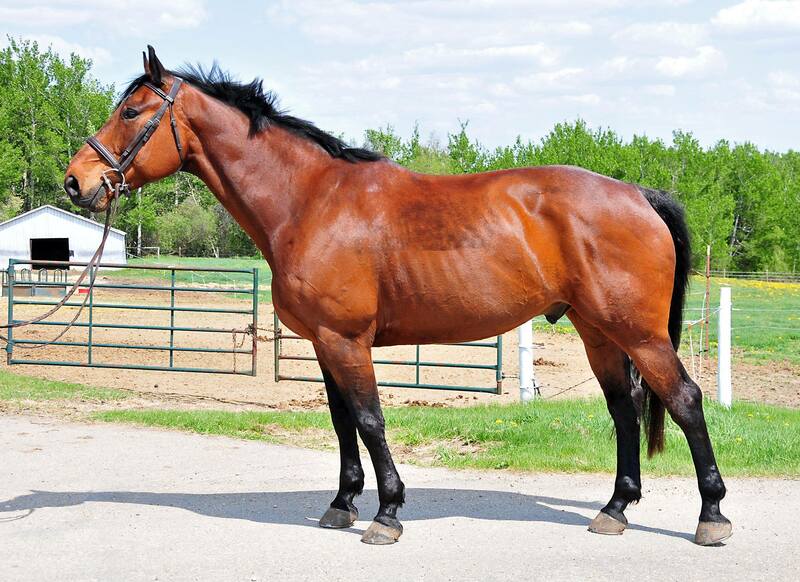 This big boy always goes to the jumps and is not spooky at all, he absolutely takes a joke and doesn't get offended. 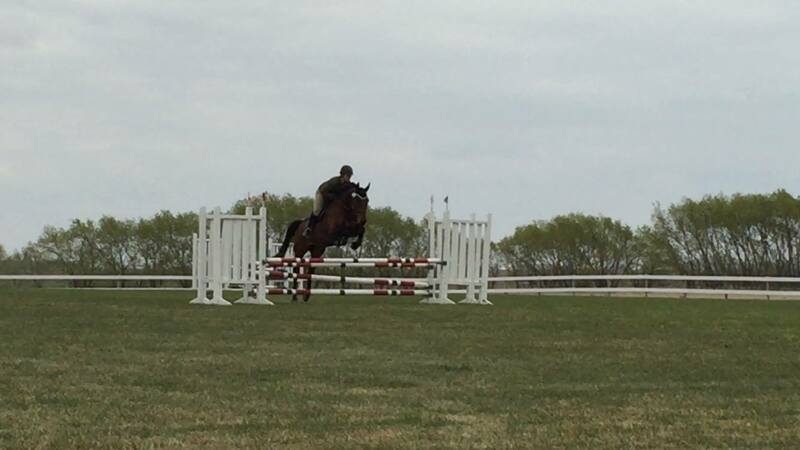 He jumps all natural fences including liver pools, devils dyke and table tops. 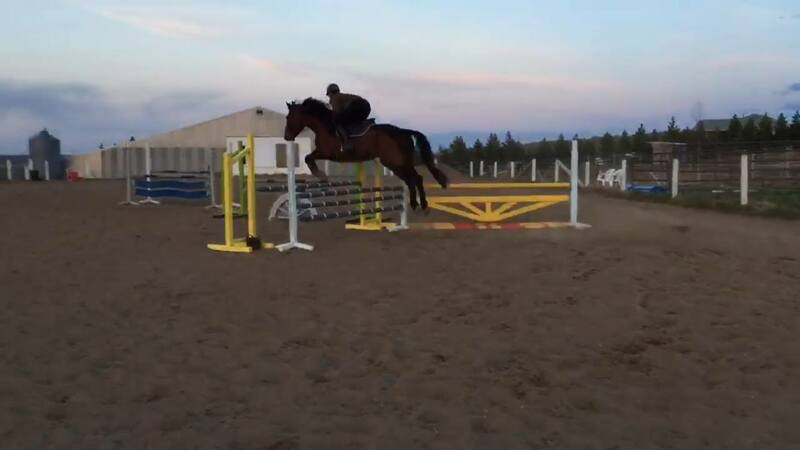 He takes a good feel of the bit so his rider always feels confident that he is 'taking' them to the fence, his lead changes are good but not auto. 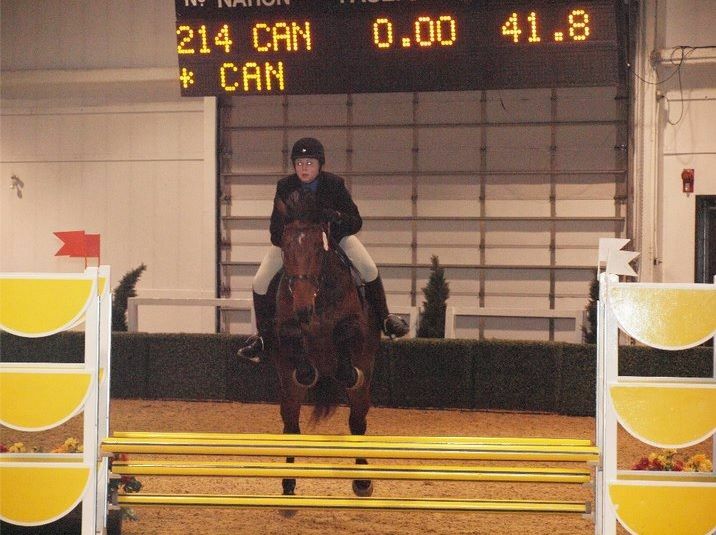 He also has done some mini medals and his flatwork is very good with shoulder in/out, leg yield and counter canter. 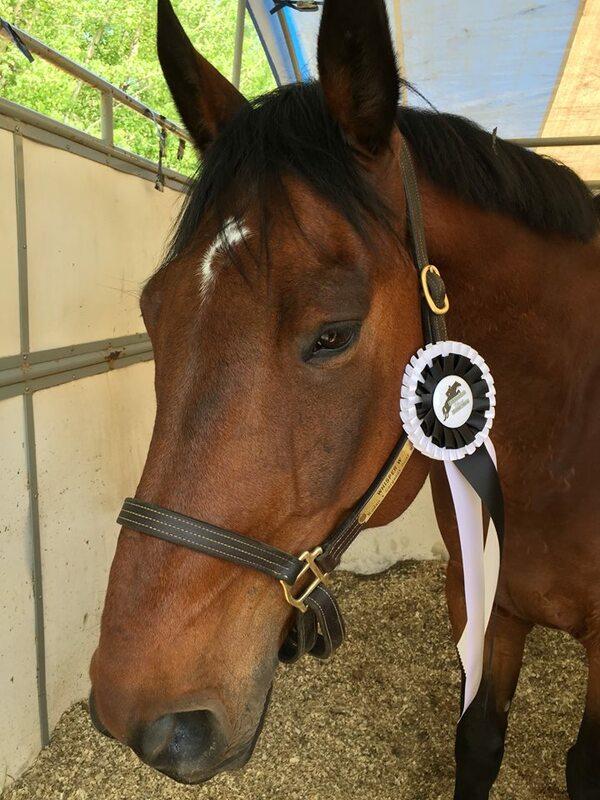 Whisper is ready to take his next rider to the ring and build their confidence just like he has done with our riders for the past six years.